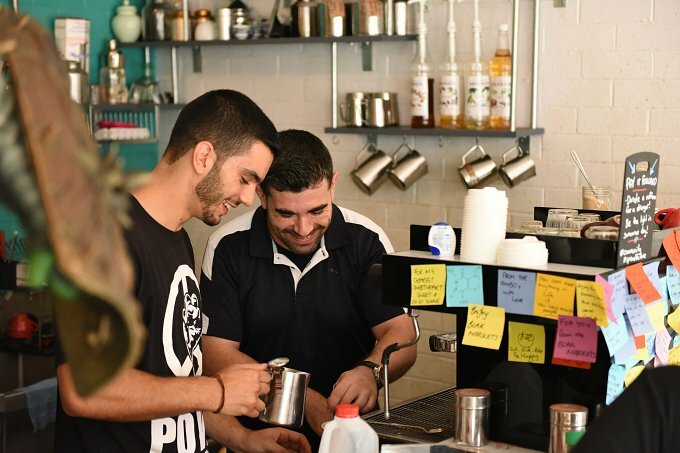 The Darcy Street Project is a social enterprise in Parramatta that has taught 450 people from disadvantaged backgrounds the fine art of making great coffee and how to land that all-important first job in hospitality. John Cafferatta has loved coffee since he was a student working in restaurants and cafes to support himself. He was able to combine his passion with his profession as a vocational trainer when he set up the Sydney Coffee Academy during his decade-long stint at TAFE. He also took on a few roles in the private sector and was contracted to teach small business planning to prison inmates and later, at-risk youth in Hawkesbury. He told The Point Magazine that one day it dawned on him that while there were plenty of opportunities for vocational training, far fewer existed for something just as vital – work experience. Cafferatta felt that existing training programs “rushed students out the door” before they had time to build up enough confidence, which he believes only comes after making 500 cups of coffee. He also found himself doing so much training that he started to lose touch with an industry he loved. 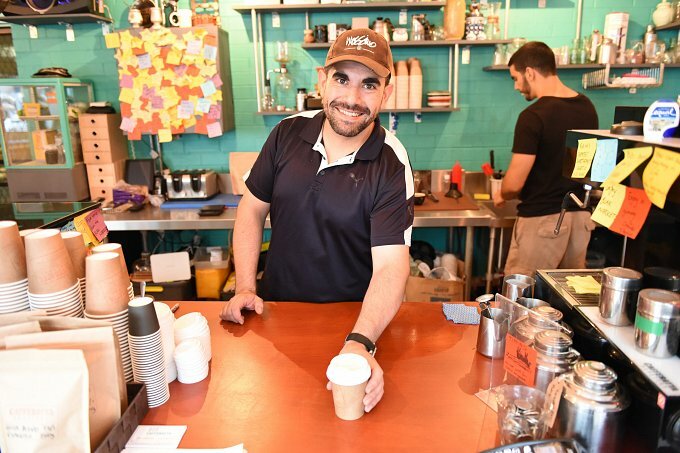 Cafferatta resolved to set up a social enterprise that would provide an open-door policy to its trainees: they would be welcome to return to the Darcy Street Project to hone their coffee-making skills as often as they wished after completing an initial two-day course. Now in its third year of business, the Darcy Street Project recently started a program that involves Kenyan, Sudanese and Ethiopian refugees roasting the imported coffee and selling it in Sydney, with the proceeds being sent back to their families or used to fund youth programs in Sydney. John said he is keen to extend the project to include other refugee communities in Sydney, such as the Iraqi and Afghan community. Many of the trainees at the Darcy Street Project are refugees or newly arrived migrants, with referrals coming in from migrant centres, community colleges and local councils. Anita Luck, 45, heard about the Darcy Street Project through Evolve, a community-housing provider in Werrington. She spent two weeks last year learning barista skills and after returning to the Darcy Street Project once a week for several months, now works there part-time. “I was sort of doing nothing before I started,” she said. Selim Unutmaz, 22, got involved with the social enterprise last year when he was still at university. He now works full-time as a journalist but continues to open the cafe on weekends. He has helped Cafferatta train students, many of whom he said had no exposure to coffee and like him, were very short on confidence in the beginning. “A lot of people who came in for training were new to the world of work in Australia. Beyond learning barista skills, they also learnt about Sydney’s café culture. I have been overseas and saw the work environment of other countries. For example, in Turkey, where my family is from, people are very relaxed when it comes to work. Australia’s work culture is much more hands-on,” he said. Trainees are also provided with help in updating their CVs, along with preparing for interviews and developing life skills such as being on time and taking initiative. The social enterprise also introduces trainees to local businesses, including the Coffee Emporium and Soul Origin. However, John isn’t content to simply continue doing what he’s already doing. 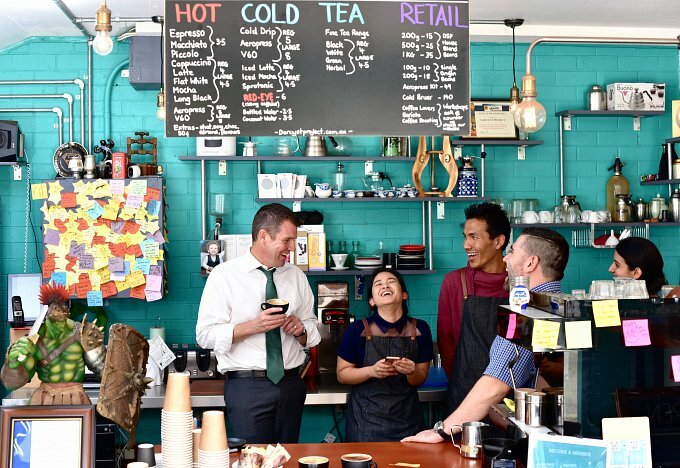 He is currently in talks with registered training organisations and local councils about setting up smaller versions of the café in the likes of Blacktown and Fairfield, as well as offering training in the back-of-house trade of roasting. His next move is importing a solar-powered coffee cart from Sweden. He wants to link it up with Parramatta’s soup kitchen, which gives out 36,000 lunches to homeless people every year. With a sparkle in his eye, he pulled out his phone to calculate how many students could receive training if he were able to convince enough companies to provide corporate sponsorships. “It would be a win-win,” he said, beaming.